The luxury cruising market continues to grow and two new ships were christened adding to that growing segment of cruise options. 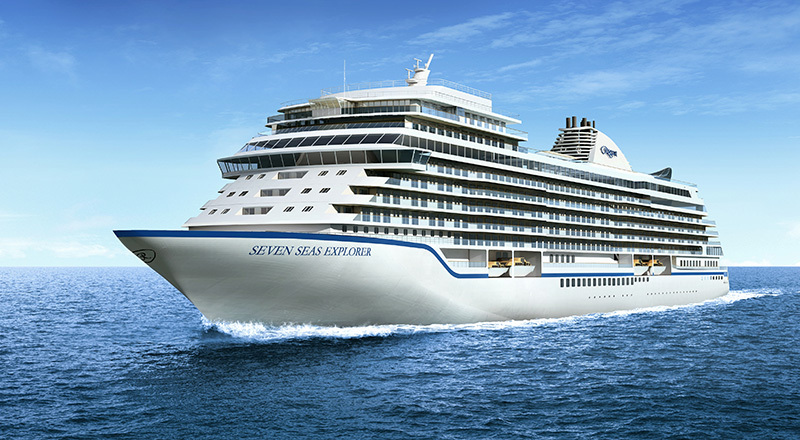 Claiming to be the most luxurious ship at sea, the Regent Seven Seas Explorer debuted in Monte Carlo. Her Serene Highness Princess Charlene of Monaco cut the ribbon and released the bottle of champagne that broke on the hull of the ship. It’s always a good omen when the bottle breaks, spilling its contents and literally baptizing the ship. The ceremony included speeches by President of Regent, Jason Montague and CEO of Norwegian Cruise Holdings, Frank Del Rio. A highlight for me was the inclusion of the fabulous singer Andrea Bocelli. 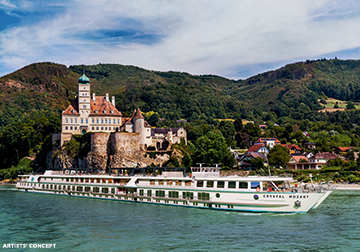 This ship claims to be the only luxury ship cruising the rivers and debuted in Vienna. Her godmother is Ms. Elisabeth Gürtler, who is the managing director of Vimenna’s most famous hotel, the Hotel Sacher. She is also the director of the Spanish Riding School. This is the only river ship to include a full wrap-around deck, one of the very best features of any ship in my opinion. She will cruise the Danube pampering her guests with a plethora of amenities, one of the most interesting, the Toto toilet that puffs and buffs. I just happen to have a video of one of these interesting contraptions that I will share in a later posts that feature each of these newest ships.